We developed our graduate programs with academic rigor, but we’ve made them easier to fit your day-to-day life. We offer two options to earn an advanced degree: On campus and online. Most of our on campus classes meet at night and on the occasional weekends. That means you can earn your degree, even if you work. And we’re located in Kirkland, so if you live or work on the Eastside, there is no 520 Bridge to cross. For those who would rather attend class anytime and anywhere, we offer a variety of graduate degrees that are 100% online. Do you feel like you’re working for a paycheck and little else? Just going through the motions at work? Now, imagine a career that fills you with passion. One where you make a real difference in the world. At Northwest University, we offer Programs With Purpose—graduate degrees that do more than offer you a way to earn a living. They help you to live with a greater sense of meaning. If you’d like to review the program costs before applying, please visit our Graduate Cost page. Both our online and on-campus programs are taught by professors with years of real-world experience, many of which are still practicing professionals. Not only that, but these experts are passionate about investing in the professional development of their students. This means that they go above and beyond to connect with students, to give them opportunities in the field, and to set them up for success upon graduation. All of our courses are taught from the perspective of the Christian Faith. This means that each program closely analyzes the ethics and morality of its industry of focus. This also means that our students learn what it looks like to be a Christian in their chosen field, and how to integrate their faith with their work. Money Magazine voted Kirkland as the 5th best place to live in the US. This is no surprise when you look at the successful people and companies that occupy this area. Seattle’s eastside is full of leading companies like Microsoft, Google, and Nintendo (just to name a few). Our graduate programs and professors will prepare you to do more than just get your foot in the door: they’ll prepare you to launch into a career and lead with a greater senses of purpose. Would you like to get started right away? Begin the admission process now by completing our online application form. Or fill out the Request Info form, and a member of our Admissions team will contact you soon. 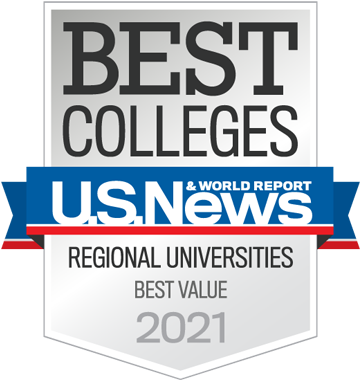 Northwest University is accredited by the Northwest Commission on Colleges and Universities and is a private, non-profit Christian institution awarding associate, bachelor's, master's, and doctoral degrees. 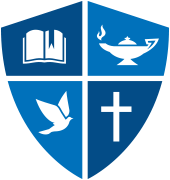 The University also holds membership with the Council of Christian Colleges and Universities.